The state of your water is too important to put off. John’s Plumbing & Pumps, Inc offers water testing and advice on the right water filtration system for your home or office. Your plumber will take into account what they find in the water test, your usage habits, as well as your budget. We provide our customers with both sales and installation of the perfect water filtration system for their Yelm homes. No more constantly replacing the filters in small, pitcher-style water filters that don’t do a great job of catching everything in your tap water! Get a water filtration system installed that specifically addresses the chemicals and concerns in your water, and know that your water is clean and pure. We can install kitchen water filtration systems as well as those that filter the water throughout your entire home. We also have water softeners available, so you do not have to deal with the damage to appliances, water spots, and other issues that come with hard water. Installing a water filtration system is a great way to limit your exposure to toxins. We all live with pollution in the air, chemicals in our homes and offices, and additives in our tap water. Some of these toxins are difficult to cut down our exposure to. Luckily, water is one thing you can control in your own home or office. 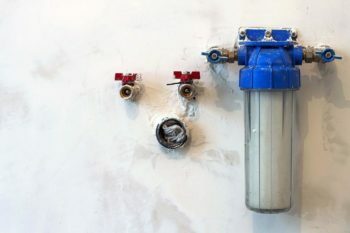 Installing a water filtration system removes chemicals, impurities, and additives in tap water, whether it comes from a well or from the city. Our filtration technicians have the expertise to handle any type of water filtration or water softener system. We understand the number of systems available can seem overwhelming. There is no reason to buy more than you need, yet you want to be sure you are addressing the specific types of issues found in your water. Our team takes the time to carefully test your water and then go over our findings with you. We make suggestions that fit your specific needs and that fall within your budget range, so you get the right filtration system for your home. We take the time to talk to you about the different features and options to make sure your concerns are met and the water filter you get is specific to your needs. 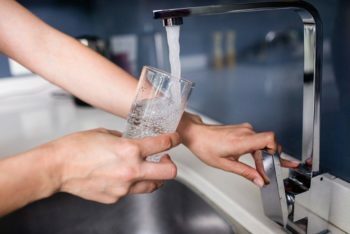 In addition to being a great way to reduce toxins and improve your health, water filtration systems also cut down on the need to buy bottled water. Cutting back on buying bottled water is good for your budget as well as the environment. Call for your consultation on a new water filtration system. We are Yelm’s premier water filtration system sales and installation service. Call and get everything you need, all from one place!